When Can Puppies Go Outside? Everything You Need to Know! Well, you’ve got some cute pups running around in your house! You wondering just when can puppies go outside so that you can take them out on walkies, play in the sun and all! Well, that’s what we’re going to talk about today! I know you’re excited to show off your new furry friends to all of your non-furry human friends, so let’s find out! Ready? So, you know that dogs are animals, they are thus, totally at home when outdoors. The first thing that you should keep in mind is that your ‘lil pup has been weaned. This basically means that your little friend is no longer dependent on its mom’s milk for nourishment. This also means that your puppy isn’t taking antibodies of the milk in. The antibodies that are present in the mom’s milk protect the tiny puppies while their immune system is developing. This development usually begins when your puppy is about 3-4 weeks old and it may go on until the newborn puppies are about 8 weeks or so. Now, the thing is that most of the pups go to their new homes during their 7 or 8-week mark. The problem is that your new puppy is now old enough that it can be weaned, but it isn’t old enough for the vaccinations. This means that the puppy is now vulnerable to all doggy diseases. So, this means that places with dogs around or other wild animals around equal a hot zone for doggy germs, which may wreak havoc on your new puppy friend. The Vaccine Issue: Can I Take My Puppy Out If They Aren’t Vaccinated? So, as I said before until puppies have their vaccinations, they are very vulnerable to a lot of dangerous (and potentially life threatening!) diseases like adenovirus,canine parvovirus, distemper, kennel cough, and rabies. This means that vaccinations will definitely prevent an older puppy from getting these diseases, but your puppy is at risk until it’s not vaccinated. Many of these diseases spread via feces or excreta of the infected animals or even parasites that may be living off-host. This basically means that just avoiding dogs and other animals will not be enough to protect the little one. What I’m trying to say is that by going places where the infected have been is all it’ll take to get an illness. So, the best thing for your puppy is that you wait until your pup has had its vaccinations done. Once they are done, you and your puppy friend can now explore nature! Your puppy is now finally free to play fetch in the grass, make new doggy friends and lick anything and everything he can! But, let’s talk about socialization for a hot minute, shall we? Well, if you don’t have a big circle of friends to prep the new pup for life, you’ll need to do something yourself socialize your dog. Let’s go over your options! Ever seen people carry their puppy in their handbags or arms? Reserve your judgements as you’re going to be one of them! This is an amazing option to help you introduce your furry friend to the world by keeping them safe from the diseases. In this, all you have to do is avoid putting them in the red zone, aka the ground! Carrying your new puppy from one place to another allows it to see the big world without any direct contact with the harmful stuff. As a bonus, carrying your puppy around will also strengthen the bond between you and your puppy. You can be one of those people that push their dog around in a stroller. I’m not even kidding. I suggest that you line the stroller with a comfortable blanket and also cover it with some sort of mosquito netting and just go out! Well, if you’ve got a backyard, then you’re in luck! Your backyard could be the first thing technically outdoors that your new puppy can explore without you worrying about any of the harmful diseases! I’d advise is to keep your puppy in sunny areas of the yard. That’s because those disease-carrying parasites like staying in shady areas. While we’re talking about staying away from stuff, you should steer clear from any fences. Well, it’s because wild animals love to eliminate near fences as explore the wild! I’d advise that you try and keep these backyard escapes as brief as possible. Doing shorter trips at first can also help will help train your new dog to come inside when commanded. I’d also be better if you try a bit of leash training at your house in your backyard rather than outside. I’ll tell you why that is. Training your puppy for using the leash will help get your little puppy used to the uncomfortable collar and to a lead. Apart from that, it’ll help you control and maneuver your doggy’s moves in the yard. So, you’ll be sure that your new pup is safe. So, Exactly How Long Do I Need To Wait To Show My Puppy Off? 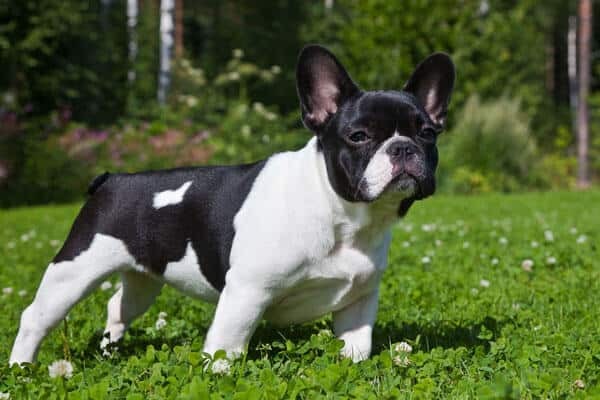 So, the vets usually recommend that you wait till about one or two weeks after your puppy has gotten it’s last vaccination or booster which is at about 14–16 weeks. So this means that your puppy should be about 17-19 weeks old when you can finally introduce it to your friends, take it to parks, walking trails and beaches! So, what should you do in the meantime? Well, don’t waste this time inside the house, rather just embrace it! You won’t even know how fat the puppyhood goes by! You should enjoy having the little ball of fur all to yourself at home! Try to get to know your new friend, channel it’s energy into training and maybe socialization, call friends over at home to meet your new puppy friend! And just love the little guy as much as you can! So, What Can You Take Away From This! You can be really excited to show off your new puppy to the entire world, but the outdoors is not entirely a safe place for your new puppy to visit! You really need to take care of a lot of things and avoid taking your unvaccinated puppy out. ○ Keep it away from other dogs! ● As for when you can take your puppy outside, vets say it should be about a week or two after your pup has gotten its last vaccine or booster shot! I hope that I was able to clear everything you needed to know up! Please do comment if you have any questions or suggestions! I am open to everything!